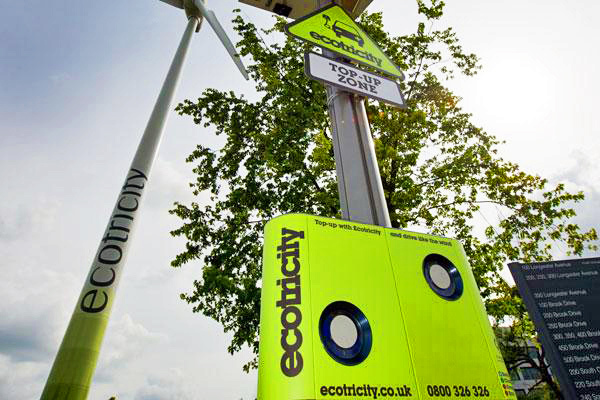 Ah Ecotricity, how we love your innovative and awesome ways. Not content with pioneering electric highways and eco-friendly supercars, the UK based renewable energy company has created the world’s first wind turbine-powered post for charging electric vehicles. The charger was unveiled at Green Park as part of the country’s first national network of chargers. The wind powered charger was also aimed at the 4,500 employees at the business park in South Reading who will be among the first to have access to the cleaner alternative energy to power their EVs. The eco-friendly power pump is capable of charging two cars at once and is also equipped with solar panels in order to subsidise the wind energy. The turbine is estimated to be able to generate around 3.5 million units of green electricity every year and can support all current types of EVs on the market. While it could take the vehicles two hours to be fully charged, the next generation of ‘fast-charge’ cars are expected to be ready to go in 20 minutes. The chargers are also set to be installed at Welcome Break service stations across the country and will also be powered by Ecotricity’s national solar panels across the country. Once the network is fully installed, drivers will be able to get from London to Edinburgh for free without causing any emissions. 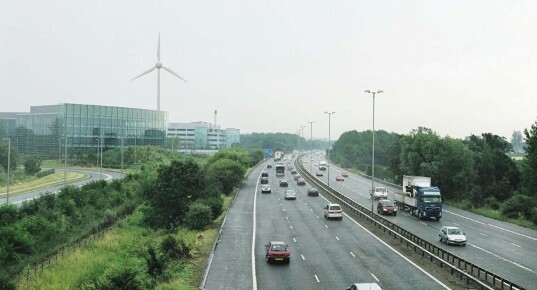 Speaking about the new green tech, Deena Shaw, business centre and marketing manager at Green Park, said: “This breakthrough in electric car infrastructure removes one of the main barriers for people wanting to buy electric cars – range anxiety – which currently restricts people to driving within their own city. Reading? But I live in Bristol. Granted I don’t have an EV yet, but my outrage is justified! Ah Ecotricity, how we love your innovative and awesome ways. Not content with pioneering electric highways and eco-friendly supercars, the UK based renewable energy company has created the world's first wind turbine-powered post for charging electric vehicles.